Despite being third on my core franchise list, Pokémon has been with me since the beginning. Across six generations of games, the main series has grown ever stronger. Each generation also gave us a variety of spin-offs, some of which continue to this day. The TV series also grew stronger as the years progressed, and while a soft reboot did occur at the start of Black and White [thus getting a lot of criticism from long-time fans], the series did well to pick itself back up during the XY series. The movies are less fortunate, seemingly being stuck between mediocre and alright. In some cases it can feel the plots drag on a bit too much, and in other cases the balance is just right [I feel Genesect and the Legend Awakened is one with the right balance]. The Trading Card Game has a lot of strength to it, adding new mechanics and continuing to bring a lovable collection of artwork to the fore. With the recent Mega-EX and BREAK cards being added, there are even more strategies to play with. As for other merchandising, with it being the 20th anniversary this year there has been a strong push with it. Even before that though, there's been a lot - including some very interesting dress-up Pikachu. Merchandise is probably one of my weaker points within the Pokémon franchise, though I still have a look from time to time. With the recent announcement of Pokémon Sun and Moon, there is a lot of talk over what they will contain. Most seem set on Hawaii as a location, and if that is the case we could find ourselves with an interesting new region if that region itself resembles Hawaii [what with Hawaii being islands]. Of course, I'm not here to talk rumour, but about other aspects of the games. Now generation two gave us the Stadium series, which evolved in generation three to be more like a main series game in Colosseum and XD: Gale of Darkness. 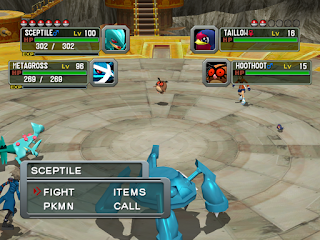 The generation four stadium game - Battle Revolution - kept the stadium feeling by reducing the plot to the regular beating of a tier to progress. Generation five didn't have a stadium game, and when generation six came, the main series had moved to 3D models. That sort of made the need for a new stadium game moot. With the right amount of care put into another stadium game, I feel it could work even with the main series' move to 3D models. In fact, try for some experimentation with the stadium games. The Gamecube stadium games proved that a plot away from the standard main games could work, and those games were experiments with their story. They had a slightly darker atmosphere, which worked for the idea of Shadow Pokémon, though the new game doesn't necessarily have to stay that dark. There could also be another route. Through the years advancements have been made - and yes, to see another game like Colosseum on the WiiU would be an absolute dream - that make a home console game that bit more uncertain. Like I said, they could continue and be experimentation with the plot that the main series won't do. But what if the main series is adapting and moving away from its routine plot lines? What if becoming champion of the region becomes a side point with beating the evil team being the main one? I wouldn't expect such a huge jump in one generation, but small things like a bigger presence of the evil team across the region would be one way to hint at such a movement. While the saying does go "If it ain't broke, don't fix it," I feel in this case its not so much fixing it as change how you reach the end result. The soon to be released Pokken Tournament brings an interesting take on Pokémon battles. No longer restricted to turn based battling, controlling the Pokémon outright puts more emphasis on the more physical skills rather than the mental ones. Depending on how it does in terms of critical review, it could be we have another spin-off series, even if it doesn't last more than one or two more games. If anything, this is a big experiment. Which brings me to say that this is one thing the Pokémon series does well. Playing as Pokémon themselves rather than just commanding them was still a pipe-dream before the Mystery Dungeon series. Having a game more about the connection between Pokémon and the environment was explored with Pokémon Snap [which is still needing a sequel!]. Even experiments that seem weird on paper like racing or pinball have shown they can work. And if there is an experiment I would call for - that's new for the series - it would be a simulation game where you run a day-care center. I don't think it could make a full price release, but as an eShop game it would be more than fine. Starting out small with only a few spaces, you'd need to keep the Pokémon in your care happy, well fed, trained, etc. The happier a Pokémon is, the faster it will train. Depending on how well trained the Pokémon is when it's owner returns gets you money to invest in the day-care. With the TV Series moving into XYZ - and the obvious lack of a Z game - it seems the show is willing to try and experiment every once in a while, or at least go a different route than the games. The most obvious point being the Pokémon Showcases which happen, similar to Contests from Advanced and Diamond and Pearl. With those series it was understandable to have such contests as the games for that generation had contests in them. The X and Y games featured no such contests. You could say advertisement for the release of Omega Ruby and Alpha Sapphire, but in that case you have to wonder why more wasn't done to keep the contests similar to draw that conclusion from. Aside from the Mega Evolution specials, there was no such connection between the release of Omega Ruby/Alpha Sapphire and the series. Unknown to us yet, there might also be the fact that Zygarde and its formes are series-exclusive. Adding to that, maybe even Ash-Greninja - the forme of legend where a powerful bond between trainer and Pokémon causes a transformation which gives the Pokémon a resemblance to its trainer - is also series-exclusive. Series exclusive things always happen - exclusive towns and cities for one - but aside from the Orange Islands, it has never felt like the series has been ambitious in its deviation from the games. With this series and into the next, I'm thinking we might see larger changes. In terms of what is happening currently, it makes sense for the Team Flare business to happen now, as it was between the seventh and eighth gyms that the finale to the Team Flare business happened within the games. The major differences are the legendary Pokémon being used, and what they want it for [sort of]. As said before, there is the contest side-story that didn't feature in the games, and this time it could be possible that Ash will win the league. What happens after that is anyone's guess. The current format does seem to work, but if Ash does indeed win the league, there would be little point in him competing in the various leagues as he would already be on the way to being a Pokémon master. The next step, of course, would be battling the Elite Four and claiming a Champion title for himself. It's entirely possible the next series starts in the region of the seventh games before returning to Kanto, where Ash - confident in his skills as a trainer - battles his way through the Kanto league again, claiming the right to battle the Elite Four. The next series could also be a transitional period, showing two journeys at once. Kanto with Ash, and a new trainer in the new region. It would have to be done in such a way that wouldn't confuse the audience. The main series in the new region with a side series in Kanto would work, and the current series has shown two regions can work with the Mega Evolution Specials mainly focused in Hoenn. Of course, a crossover between the series and Ash-focused specials could happen. In the same way Ash would meet champions in his time, maybe the new trainer would meet Ash after losing a few leagues. Of course, we could always stay with Ash visiting a new region, though he doesn't necessarily have to compete in the league. Ash could also be supportive of Serena and stay with her wherever she next went - if she decides to take on a new journey, of course. There are countless possibilities for where the series could move. The movies will take this change and go with it. Though relating to my idea of a transitional period, perhaps the films could follow Ash in Kanto as he takes on the Elite Four and Champion. The plot would need to make sure it didn't just involve battles, though with an hour and ten run time, and the battles of the series hardly ever touching twenty minutes, it can be done. Away from that idea though, I feel as though a bit more can be done to make sure plots don't drag on in some cases, perhaps by adding a quick something to resolve or a side plot. I've gone on massively about both games and TV and film, and I've already mentioned I'm not that into merchandise, so I'll keep this one shorter. The Trading Card Game has been doing a lot to keep the game fresh, and the artwork on the cards can always impress. What also impresses is when they add new mechanics. EX, Mega-EX, BREAK. Even those mechanics that have been retired, such as Dark Pokémon and Delta Species. 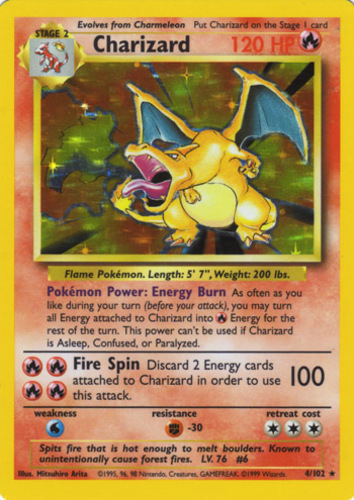 There's not really a lot I can suggest, as the TCG has always been one of the strongest of the Pokémon franchise. The other products I also can't really say much on, though I like what they've been doing recently. I think it would be interesting if - in terms of board games - there could be a Labyrinth Pokémon Edition. 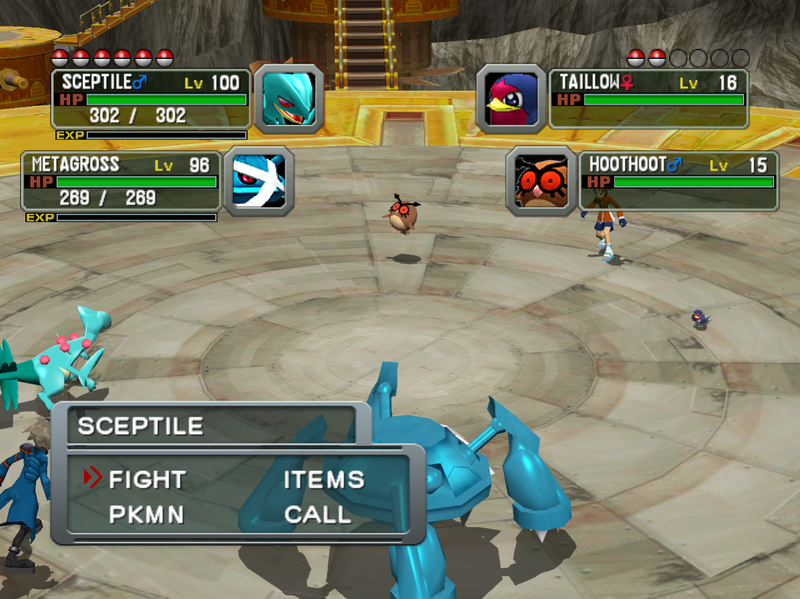 Since the aim of the game is to reach the counters and 'collect' them, it fits the Pokémon motif of catch 'em all. The soft toys are great in appearance [mostly], and even some of the more stylised ones can be cute. Yes, this has been lengthy, and I applaud you if you read the whole lot, as this is probably one of my largest posts yet. There's two more yet to come though, and so next week brings my thoughts on Sonic the Hedgehog.